If you let these soak in the maple, coffee and liquor combination and chill for half an hour, these can pretty much be almost the real boozy dessert! I think I can eat these for dinner!.. They are multigrain, you got your nut protein, some cocoa, and coffee to keep you awake and going for the late night partay! To make these glutenfree, use your fave glutenfree pancake mix. Coffee Chocolate Pancakes with maple liquor drizzle and cashew cream mascarpone. Vegan Pancake Recipe. Mix Maple syrup and brewed coffee or coffee liqueur or rum or other liqueur to preference. Mix the wet ingredients and cocoa powder and coffee well. Add the rest pancake ingredients. Add more water if needed to get a thick pancake batter. dont over mix. Too thin and watery batter also will not rise well. Let batter sit(for 2 minutes) till you prepare the cashew mascarpone. Blend the cashews with water and vinegar till creamy. Add sugar or maple and blend again. Taste for tang and sweetness, adjust and keep. you can make thicker or thinner or more cream as needed. Cook the pancakes on well heated and greased thick bottom pan. 5-7 minutes per side depending on size. Since the multigrain batter is a bit thick, you might have to spread it with a spatula into shape. Mix some liqueur in the maple syrup for drizzling if serving with liqueur, or keep separate. To assemble, brush pancake with maple syrup or maple liqueur mix . (Or use rum extract mixed with maple). Top with cashew mascarpone, place another pancake and repeat. Dust some cocoa powder or Chocolate shavings on top. you can also saturate the bottom pancake with a bit more liqueur or maple + coffee per taste. Dig in!! Now there couldn’t be a better way to start the day! these sound so delicious! You got me at Tiramisu! Haha..looks amazing I’m sure it tastes awesome too! A bottomless plate of pancakes… this may be my new dream. Those look wonderful! Thanks for sharing your recipe! Oh my goodness, this sounds amazing! 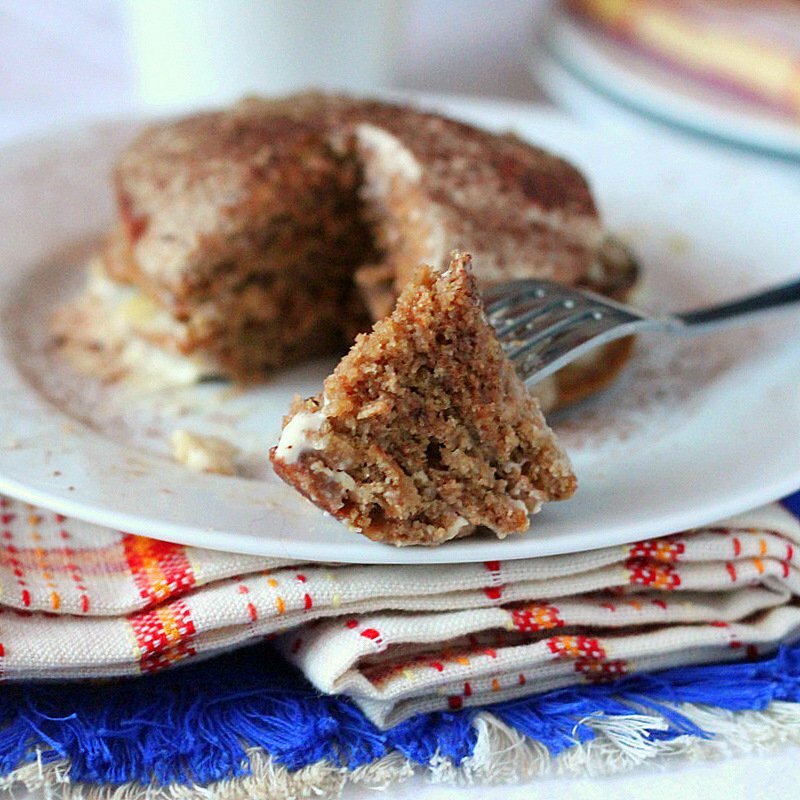 I use Bob’s Red Mill gluten-free pancake mix regularly….I’m definitely going to try this. Fabulous! Whoah!! 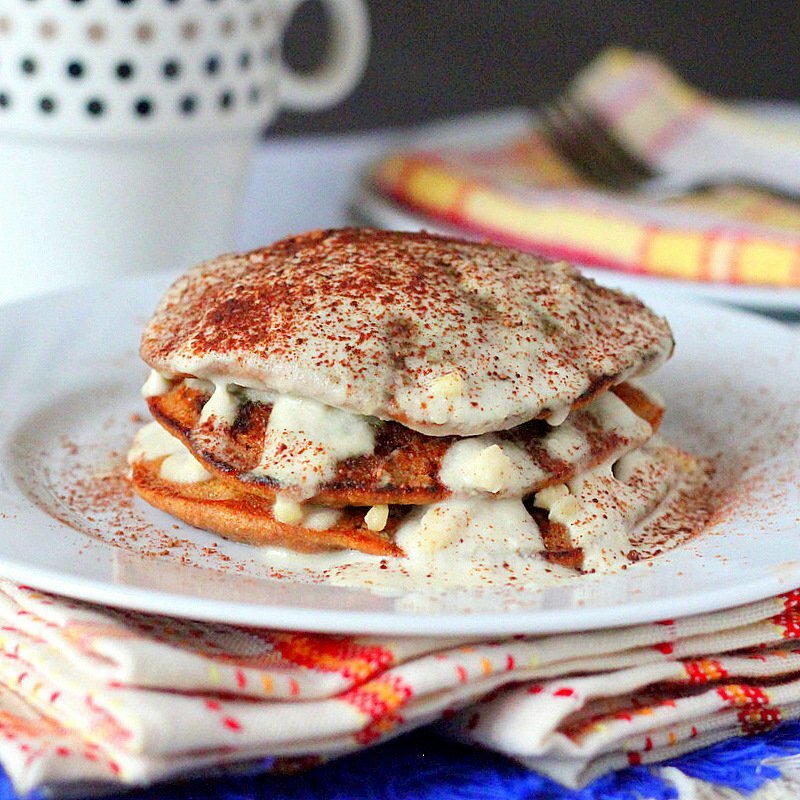 These look and sound like a most amazingly decadent breakfast. Fantastic idea! Thanks so much for sharing this with Wellness Weekend this week! 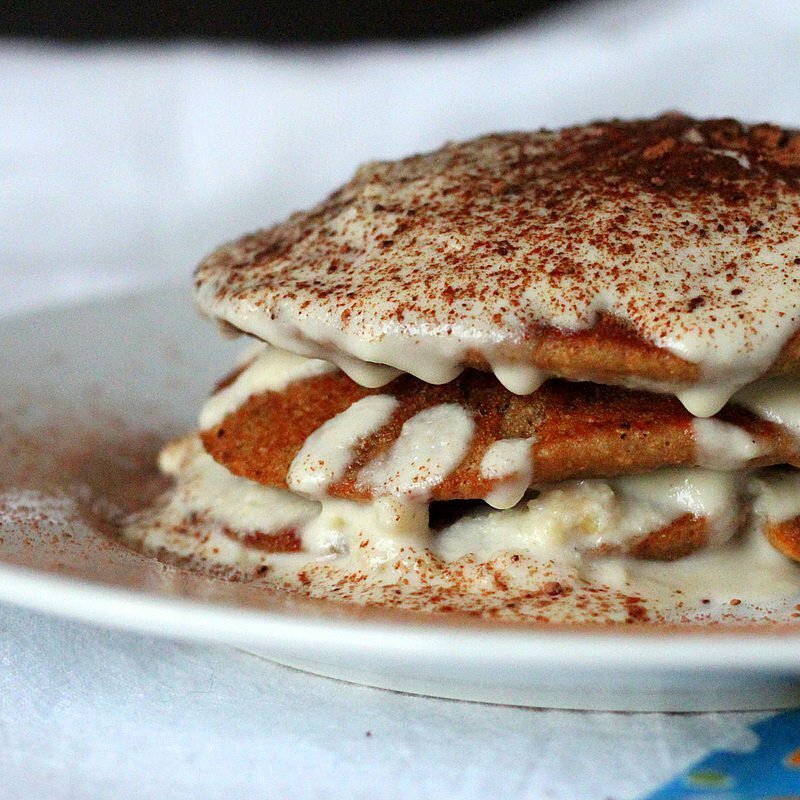 OMG.. your plate is super tempting..
tiramisu pancakes is a first! what a breakfast delight :D. btw, i bought my first garam masala the other day. made some curry! 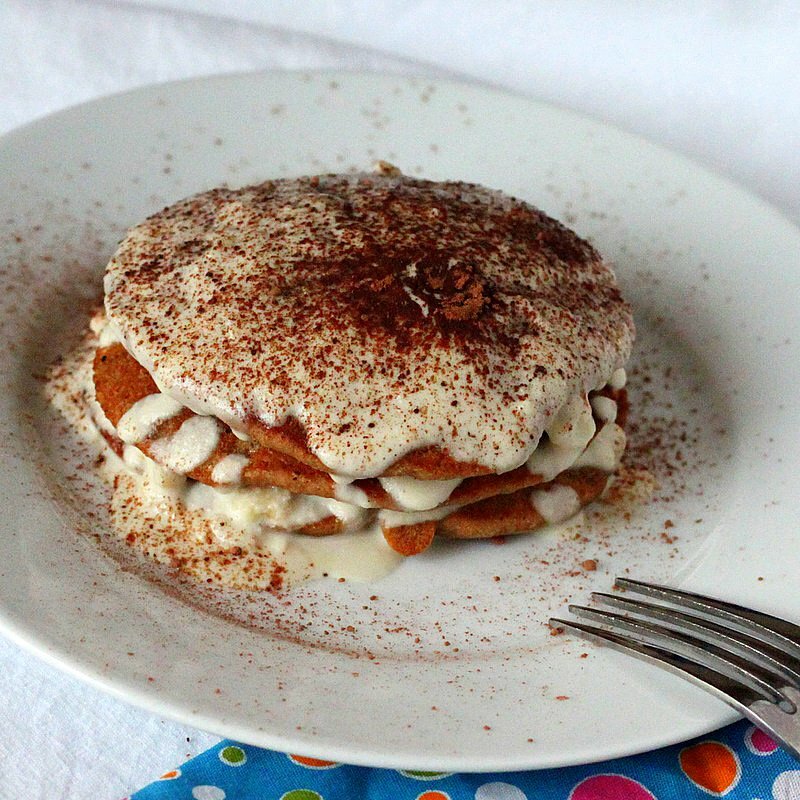 Tiramisu pancakes? It must be delicious. and it seems to be quite easy. I’ll try it! Thanks [email protected], and EA. Let me know when you try them! Thanks Ricki.. i love WW! Thanks Junia. awesome.. let me know how your curry turns out. Thanks Jess and Shaday.. do drop me a line when you try them! og my gosh this is so tempting, but where do u find the bob flour? Thanks Maggie. i linked up these pancakes to your fun artistic ideas linky! Oh my heavens, swoon! These look INCREDIBLE! It’s time to have breakfast for dinner…and lunch!! !Thanx for a great post!!! Thank you Hannah.. glad u liked them! Thanks Gigi! i totally agree! These pancakes look like such a delicious and healthy breakfast treat 🙂 what a fabulous idea! Creativity at its best!Absolutely wowed by the recipe!! Holy wowza!!! I’m coming over right now. Have an all day, on demand bottomless batch ready please. 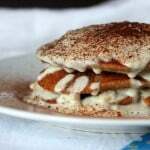 very exotic recipe..i love tiramisu…good idea to make pancake with less calories..sure will try..Do visit my blog to…would like your suggestions in photography. Wonderful! Thanks for sharing – I will make them today! Almonds dont make a great cream. you can use other soft nuts like hazelnuts or use coconut cream. keep a can of coconut milk in the refrigerator overnight. then open it carefully without shking it.. the coconut milk separates and the top white part is thick cream which you can scrape out. mix with the other ingredients and use it.